Frugal & Fabulous: Java Factory Review + Giveaway! 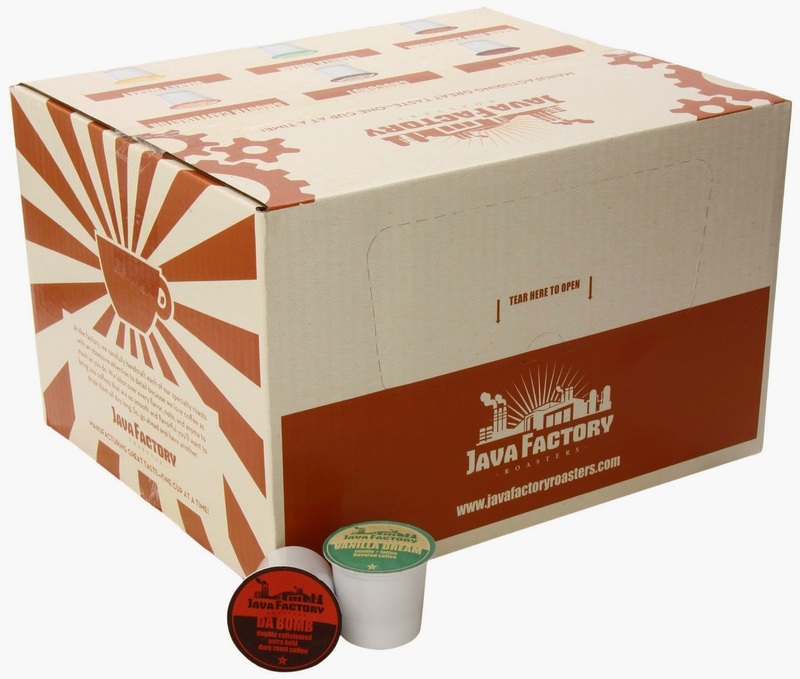 Java Factory Review + Giveaway! My favorite was the Smooth Caffeinator - Medium Roast. When I make it I sing to the tune of "Smooth Operator"... my husband on the other hand sings "Smooth Criminal". Anywho! This coffee has a smooth even taste, and has almost a nutty tone to it. I like it because it's just a good, smooth cup of coffee. It's my new go-to coffee! I also really enjoyed Wakey Wakey - Light Roast. It's a light and delicious way to start your morning. It's not overpowering- just a nice, crisp, cup of Java. Choconut and Vanilla Dream are nice flavored options. Choconut is a nice blend of chocolate and coconut (two of my very favorite things!) and Vanilla Dream is a great Vanilla and Butter Toffee flavored option. This one is definitely sweet and has a really developed flavor. I really enjoy flavored coffee, so these two flavors were a real treat! If Dark Roast is your kind of Java, you'll want to try Da Bomb and Dark and Handsome. Both are extra bold and will definitely get you going in the morning! I really enjoyed the strong notes in these two brews. They had some muscle, but weren't bitter - which is important! Because they are dark roasts, these two coffees have double the amount of caffeine - so these are perfect for Monday mornings, or before a big workout. I really enjoyed these coffees and absolutely adored the names of the coffees! It's just fun. In the midst of testing these out, I stopped putting sugar in my coffee (trying to cut back) and believe it or not, I barely noticed a difference! This coffee was so good with just a splash of milk, I was wondering if I should have been doing it from the beginning! 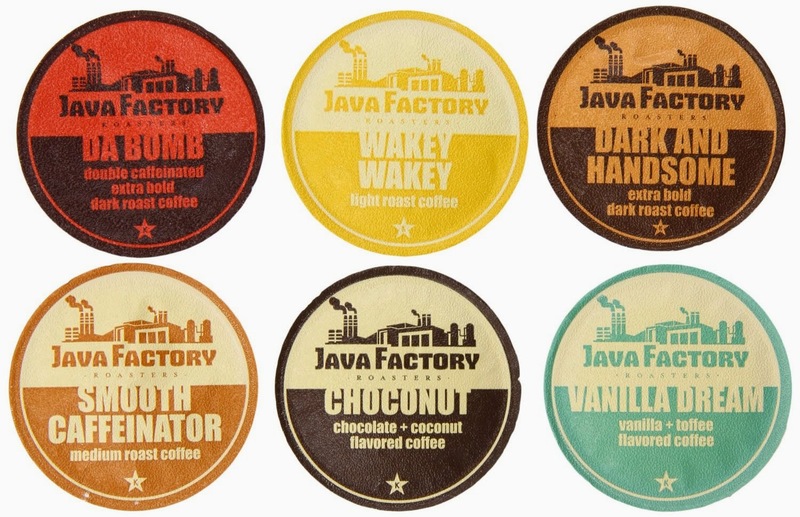 I really enjoyed these Java Factory coffees and I know you will too! The flavor combo pack is a great mix! Buy it: Buy them on Amazon here! I like a dark roast, so the Dark and Handsome sounds right up my alley! I think Vanilla Dream sounds good! I would like to try the "Dark and Handsome" Coffee. I'd like to try ChocoNut. They have interesting flavors! I want to try the Vanilla Dream! I love vanilla coffee! I would love to try the vanilla dream! I'd love to try that choconut. I am a huge coconut fan. I would like to try Wakey Wakey - light roast. Id like to try day bomb or wakey wakey. I want to try Dark and Handsome. I really want to try the da bomb flavor! I would like the Choconut flavor. They all sound great but I would most love to try the Vanilla Dream! I would like to try the Choconut. I would like to try Choconut. All of them but right now I'd love to try Vanilla Dream.